At an open-air Mass in a poor, crime-ridden suburb of Mexico City, Pope Francis excoriated inequality, corruption and the temptation of wealth. "Decrying &apos;a society of the few and for the few,&apos; he denounced deep inequality and the vanity and pride of those who consider themselves a cut above the rest.
" &apos;That wealth which tastes of pain, bitterness and suffering. This is the bread that a corrupt family or society gives its own children,&apos; the pope said at the Mass in the city of Ecatepec. "Mexico is home to one of the world&apos;s richest men, billionaire Carlos Slim, and a wealthy political class stained by corruption even as much of the country is steeped in poverty and violence." The pope also called on the people of Mexico to resist the devil, "the father of lies," with whom there can be no dialogue, The Associated Press writes. 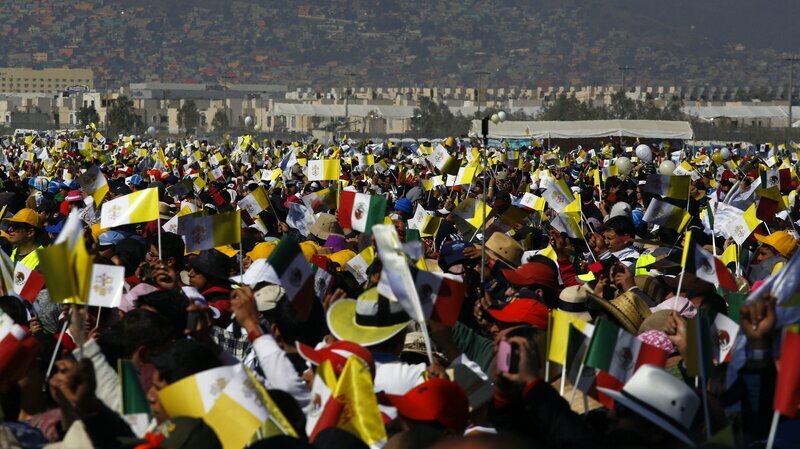 A crowd of 300,000 was expected for the Mass, which comes during the second day of the pope&apos;s visit to Mexico. As NPR&apos;s Carrie Kahn has reported, the pope&apos;s visit earlier included stern words for the leaders of Mexico — and for the Catholic Church itself. "Pope Francis didn&apos;t mince words during a speech he made in the National Palace before the president and top government officials," Carrie reported on Saturday. "He warned of being seduced by power and serving the privileged few at the detriment to the many. He later scolded the country&apos;s bishops and warned of being corrupted by trivial materialism and petty divisions instead of tending to the people&apos;s needs." The pope&apos;s warm reception — with huge crowds of cheering people, and a state welcome by the Mexican president and the entire Cabinet at the National Palace — is "a historical spectacle in this once staunchly anti-clerical country," Carrie notes. "It&apos;s only since the 1990s that Mexico re-established ties with the Vatican." "Unlike his predecessor Pope Benedict, who visited Mexico&apos;s conservative heartland in 2012, Francis is stopping in some of the country&apos;s most troubled corners on his first trip as pontiff. "He will say Mass with indigenous communities in Mexico&apos;s poorest state Chiapas, and speak with young people in Morelia, the capital of Michoacan state where drug gangs and armed vigilante groups have waged a bloody conflict. 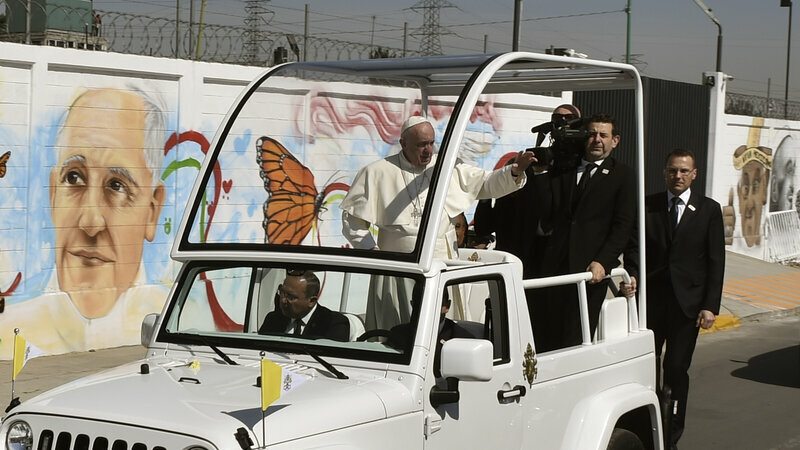 "The pope will end his trip in the notorious northern border city of Ciudad Juarez, where he will address the tide of illegal immigration into the United States, meet relatives of victims of violence, and visit a prison."